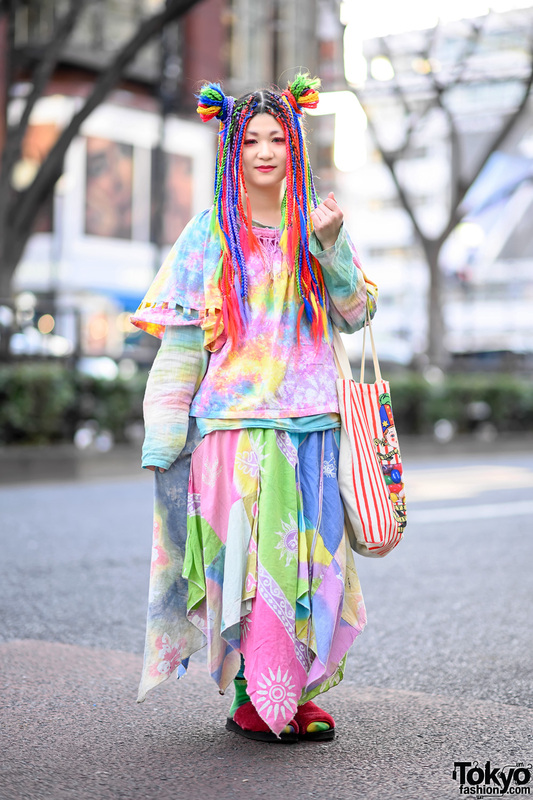 On the street in Harajuku, we spotted Ohshi, whose bold fashion choices have been featured many times before. We even posted an English subtitled interview with Oshi on YouTube. This time, he opted for an all-black androgynous look featuring mesh. 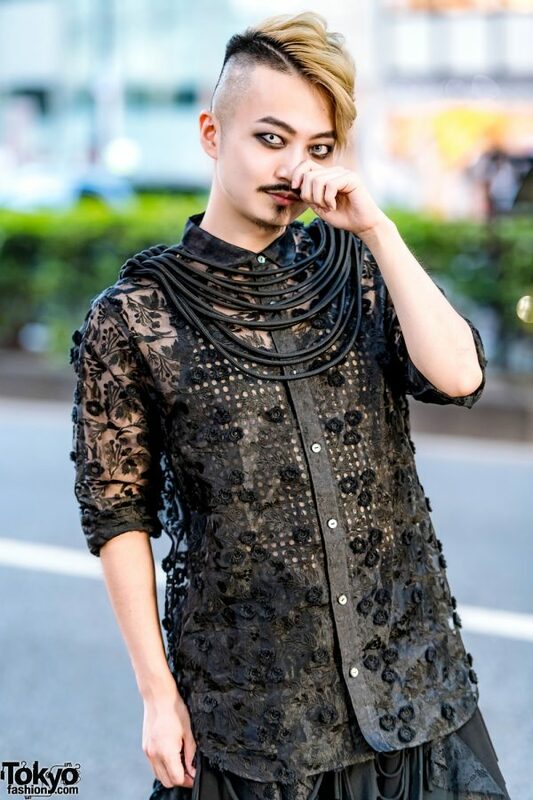 The Tokyo Decadence staffer donned a sheer black floral button-down top from H.T.Maniac with a visible button placket and floral appliqués. Ohshi wore it with a black mesh tank top and a black asymmetrical skirt with floral lace panels from MalkoMalka. He also wore black fishnet stockings over white socks and tucked them into Dr. Martens black lace-up boots with gold star appliqués. 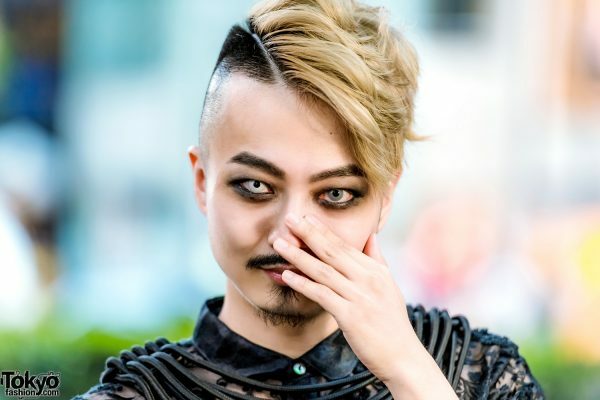 The composer, pianist, and DJ completed his look with a BeautiK necklace, monochromatic contact lenses, and a blond undercut. 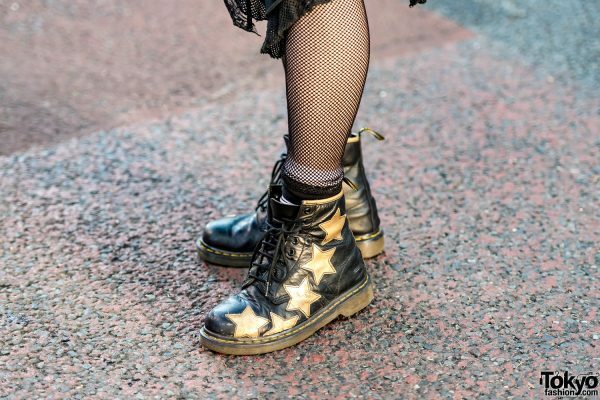 Ohshi names Vivienne Westwood and Milkboy as his favorite fashion brands. He also enjoys listening to classical, house, and electro music. For more on Ohshi, follow him on both Instagram and Twitter.